We would like to invite you to a trip in endless space with the Star light collection. Collection includes 6 fascinating colors, which will be charming emphasis to any image. 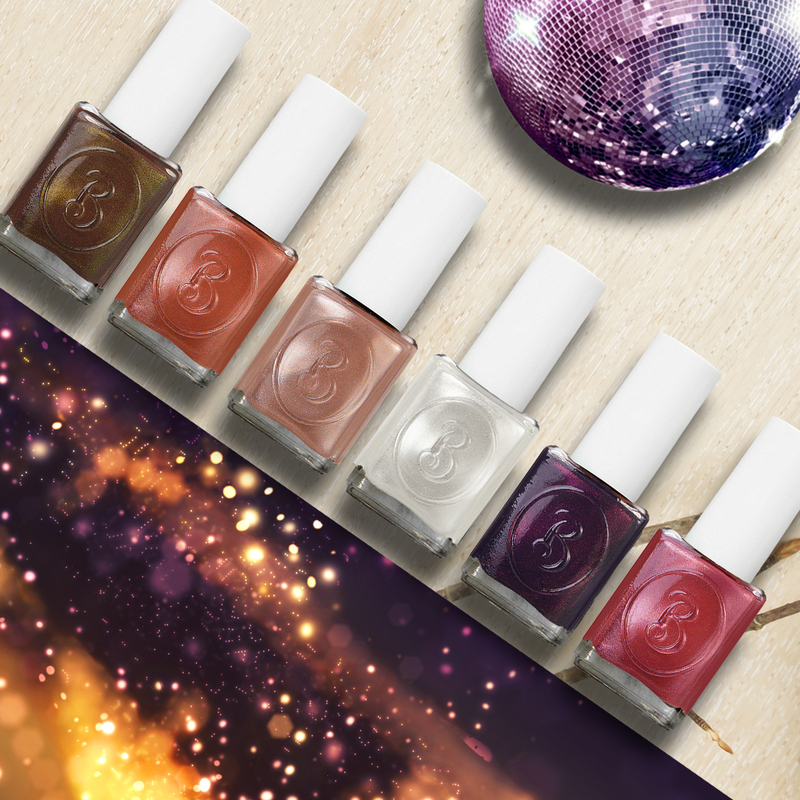 All colors of the collection has 3D-texture, which allows them to sparkle under the lights. At the heart of the Star light collection colors is pearl base with shimmering, thereby all colors look volume and dazzling. All nail polishes are based on Oxygen formula, which allows oxygen and water penetrate into the nail plate and this keeps natural beauty and health of nails. Tender as sun, shining orange color, charges with positive energy and boosts spirits. Due to combination of orange base with metallic effect and spangles, №85 Gentle Sun color is shining and sparkling. Charming soft-peach color looks like Milky Way, spellbinding and tempting. Half-transparent pearl base with metallic effect is matched by gold sparkles, which make the color unique and volume. Sophisticated as polar stars, mystic and alluring color. White pearl base with metallic effect and gold shimmering shows stylish and unusual white expression. Spectacular as bright comet, pink color for those, who prefer classic, but in a new interpretation. №88 Bright Comet is based on combination of cold pink base with metallic effect and the same color significant shimmer, which makes the color incredibly deep. №89 Galaxy is as mysterious as the Galaxy, which captivates by its depth. Thick violet base with metallic effect is completed with fine violet and gold shimmer. №90 Stardust color looks like real stardust on the nails. The color is perfect for those, who prefer exotic colors. Complicated and eclectic color, based on bronze base. Unique 3D texture provides duo chrome effect.